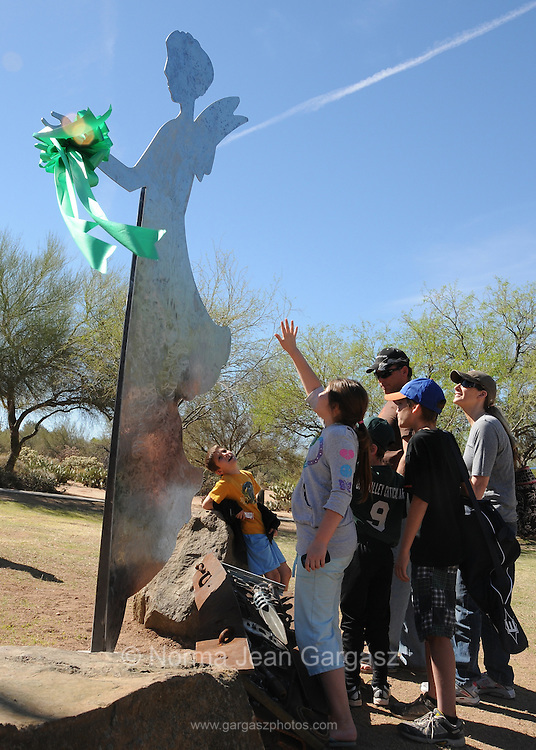 Freedom's Steadfast Angel of Love, a memorial to Christina Taylor-Green, was dedicated at Green Field, James D. Kriegh Park, Oro Valley, Arizona, USA. Green, 9, who was the youngest victim killed during an assassination attempt of Arizona congresswoman Gabrielle Giffords, played little league baseball at the park. The angel was created by artist, Lei Hennessy-Owen, with materials from Ground Zero in New York, the Pentagon, and the flight 93 crash sight, which were targeted by terrorists in the September 11 attacks. Green was born on September 11, 2001.